I am not going to say much more than I fell off the Banting wagon. All this eating as much as you like, fatty and creamy foods, butter et al, has made me more fat than ever!! I know the diet is supposed to be 100% strictly no sugar, low (or no) carbs and it comes with a warning that if you still eat these PLUS the banting food, you’ll get fat, and that is exactly where I am. At first I thought this was the next best thing to sliced bread, and that I can do it – loving the fact that I could eat the skin on chicken, and the fat on my braai chops, but then I learned another thing: I am an addict. O dear, my daughter called me an addict a long time ago, and of course, as per all addicts, I denied, and lied. But, when I sat down on Monday afternoon this week, with the cuppa tea in the one hand and the other hand holding the most delicious chocolate muffin covered in Mint Crisp ganache, I recognized that I am an addict to sugar. One muffin followed another down my throat, until all six were devoured – no, I am not kidding you! The six pack was done – and not a crumb left for my beloved either, and another layer added to hide my long-ago six pack on my tummy. So I asked my cousin for her advice. She was diagnosed with diabetes a few months ago, to the point where she had to inject herself every day. And she took the challenge, changed her diet, her way of life, and shed more than 20kg’s by now – and looking hot baby! Her advice, believe it or not, is what we all know deep down inside: everything in moderation. Sure, she had to cut out sugar, and she bears testimony that at some point you do not miss it anymore. But she eats more healthy, and 6 small meals a day – low fat, low carb, but balanced. So its back to the drawing board for me. 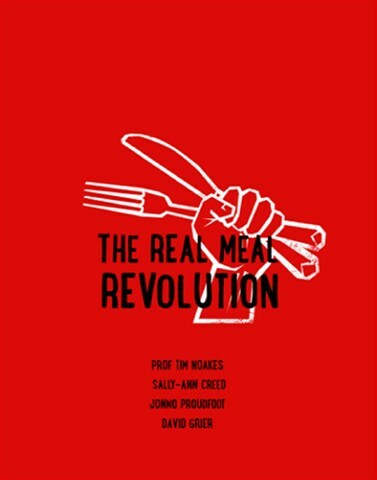 Anyone want to buy the almost new book – The Real Meal Revolution from me? So here I leave a client at the local retirement village and at the intersection to hit the highway home, I look left and right, right? And I notice two flies mating on my passenger side window. She is large – a real fat mama, and he is small, but happily settled into the act, riding on her back. And of course, being a highway, I need to give gas, and laughed so hard I nearly overturned my car!! She is holding on for dear life, he is still stuck, his wings start to flap uncontrollably, and the next moment his whole body bends over backwards, wings and all flapping upside down now! And he is still stuck! Shame!!!….. I was so relieved for their sake when they finally blew off, still stuck together, hoping they will not just land on the tarmac in front of the oncoming traffic and at least have some time to enjoy and do “conscious uncoupling” — o no wait, that’s Gwynneth Paltrow’s line….. At least they were still alive when they finally flapped off together – the poor guinea fowl that did a death run into my car was worse off yesterday. As I did not see him behind the car after he ran straight into it, I feared he was stuck somewhere in front, and indeed, when I got home – there he was – firmly stuck between bonnet and registration plate, which was hanging onto one screw. My swak hart! At least my garden boy, who had to take care of it for me as I simply could not, had a stunning supper (bad enough already to pick up small dead mice courtesy my cats in the house every morning, or step on a snake in the dark on the way to the loo). Check the wings in the first photo still straight, and the next one he just bent right over!! Poor thing. I don’t own a scale, so I cannot tell if I have lost any weight at all, but I do know I have had some of the side effect they talk about! Bloating, headaches, etc. BUT! I do feel more healthy, no doubt, and my clothes feel more comfortable. For the first time in my life the thought of a diet is really not daunting, and as I’ve mentioned previously, it must be because there are not restriction on how much you may eat. (Must say, stuffed myself with nice loin chops – fat ‘n all!, and roast chicken the other day and felt positively pigged-out). For lunch today I made a tuna pie: fried onion in a dollop of butter, added the tuna and some paprika, herbs and spices and CREAM. Whipped this into an egg and milk mixture, topped with grated cheese and baked till brown and crispy. I served it with a lovely side salad with added fresh mint leaves from the garden, and there we had our banting meal. Tonight I will try and delight hubby with some nice chicken curry in coconut milk, with veggies to match. Must say, becoming quite the cook these days. My friends are probably laughing out loud now, as they know this is a newby for me. I spent some more time poring over the contents of the book – The Real Meal Revolution, and I must say, it really makes sense to me. Think back on how we older folk grew up: fatty meat, real butter, cream, full-fat milk, eggs etc. I can vividly remember my granny’s meat dishes – swimming in the fat! And then ponder on the cancer stats then and now – a huge increase in cancer cases worldwide since the food pyramid that the USA got us all to believe, with carbs / grains etc making up the biggest chunk of it, was told as gospel since the late 70’s. Happy banting to everyone else who is doing it out there – and that, I believe is now almost half of South Africans. So much so that some potato farmer wants to sue the author of this book, Tim Noakes. O dear, no beetroot – how cruel can a diet be?? I really don’t mind the no potato, no rice, no bread rule, but no beetroot?? I have to admit the Tim Noakes book looks like a Bible – and no doubt, in some cases are revered on the same level as a Bible. Some of my clients have reported huge weight losses on this diet, and I am green with envy. But as per most diets over the years, it is so difficult to actually fine-tune the brain to accept that I MAY NOT eat this, or that, and that the restriction in itself makes for me to not even start. HOWEVER, this diet is really not a restrictive diet as to how much you may eat – no weighing, no portions (other than fruit per day), and thus it should be easy. But this pea-brain of mine, that knows all too well that I am Slightly Overweight (O K, my view at times – sometimes it is seriously overweight! ), just cannot kick itself into gear to start, and I have found every excuse under the sun not to start – best excuse being that the sweet temptations in the house needs to be eaten up first, and then I can start. The “Bible diet book” actually tells you to literally TOSS the offending food items, but hey, how will I ever be able to toss a Yorkie Bar?? And then there is the tiny problem of loving drinking yoghurt, but in South Africa (not sure about the rest of the world), you simply do not find them without sugar added. I made a huge fish pie for lunch, and even my daughter Belinda, who is an excellent cook, will be proud of my effort. The last of the Weskus fish my husband smuggled to the farm in our deep fridge when he moved some stuff up to the farm again, were dutifully taken out this morning, but when I saw the air temperature in the house is not going to thaw them in time for lunch, I hung them in the plastic packets on the tree outside, which worked charmingly. Then of course, I realized that I would need to scale them. Well, as I am dressed rather smartly today, there was no way in hell I was going to scale some fish and risk me being covered in either scales or water splashes that would result in me smelling like a fish-monger. So, trusted Google helped again, and volia! – I got to Martha Steward’s blog on grilling fish with scales and all, with the promise of simply being able to peel the scaly skin off afterwards. Let me tell you, it worked like a bomb – I was literally able to spoon out the stunning white fish from the hard outer layers, flake it, make sure there were no bones at all in it, and proceed with my pie. The bones and surrounding meats were cooked up for more broth – yes, the “Bible” tells us to cook leftovers for broth!!. I love the fact that I can use so much butter, so I fried a huge onion and lotsa mushrooms in a dollop of butter, added spice, and mixed it into the flaked fish. This was topped off with an egg and milk mix, just like we use for the traditional South African Bobotie dish, and the piece-de-resistance: sprinkled cheddar cheese that I grilled to perfection after cooking the pie till firm. So, my first real banting dish made from scratch, and it was delicious. Now, to get into the eggs, bacon and the fat, o yes, the fat – me, who have never eaten chicken skins, nor the fat on any meat, not even a well barbequed braai chop, must now get used to eating the whole caboodle – fat and all. Ah well, who would have thought that fat erases fat? Or so we are now led to believe, and as they say, the proof is in the pudding – in this case, the number of testimonials about this wonder diet. So tomorrow, it is off to the shop I go to buy the “right” nuts, the “right” oils, fresh cabbage and then some more, and then to start this new cult in full force! Send me your stories too please, I want to know if you have had any success. Paleo / Banting / Tim Noakes / Atkins – the list goes on……. O my word – you cannot open the newspaper without at least a full page devoted to Banting, or go out with friends for a breakfast without everyone asking if you are “banting”, and as true as Bob, even get a “banting” meal at a restaurant in South Africa these days. Everyone is on the band-wagon! Some fellow bloggers have written about “banting on a shoe-string budget”, others have bragged about their weight loss, with photos et al, and the local gossip magazine, “Huisgenoot”, as well as Sunday newspaper “Rapport”, have all had pages and pages devoted to the pros and cons of the high fat, no (or low) carb diet Prof Tim Noakes is advocating. And those who have lost weight, have miraculously also had all their illnesses like diabetes, brought under better control. I am aware that you have a bucket list of things you still want to see and do in your lifetime, and I thought it is a very good time to remind you about these, as you are getting older by the minute, the second, of each hour, each day, each week, month and year!! You have achieved much in the last two and a half years, stuff that many people dream of – you have settled down in a marriage that is seemingly made in heaven, with a man that surely has invisible angel wings and halo! And you have, after many years of wondering whether it actually is a fallacy, discovered that love truly exist, and once found, can represent that clay pot you’ve so often visualized, pure – with no cracks, holding the golden elixir of pure, unadulterated love, bliss, happiness of being with THE ONE!! And although I agree that this in itself is the one ultimate bucket list wish you had (I know, I know – not all the time, as I know all too well that you sometimes thought you can fly solo very successfully), there are practical goals that you must revisit – life could be short, or it could be extremely long and some deposits in the memory bank can only come to good use one day should this be the case for you. So, my dear, darling Suletta, remember your wishes before this life love came along, and strive to now still see and experience these, though you need to alter the picture in your head to encompass the love of your life too. Can you imagine the pure joy of doing all these dreamy things with him? Dancing together in this circle of life and love whilst extracting the joy from each of the bucket list wishes? 1. Go and trek up to Machu Picchu, but only once you’ve had that knee replacement done. 2. Go wander around in Russia – go photograph the gold on the buildings in St Petersburg, and covet the fact that your love has this same desire to visit Russia too! Perhaps you both hail from there in yonder years?? 3. Take him to Mauritius, or Seychelles, or Maldives, and go bathe in the warm water whilst the sun caresses your bodies – older, wiser, more crinkly and saggy bits, but with souls that hold the care-free frolicking of long-forgotten youths, and lips that are still eager to taste the salty water and each other. 4. Go to Paris, and this time try to get to the highest level of the Eifel Tower, cause now you don’t have an excuse – your stronger half is there to support your shaking legs and to guide your eyes to the vista of the city, without looking down and wanting to give in to the pull of acrophobia! 5. Go tour Namibia – allow him to show you where he fought in the unspeakable war when he was a man-child, and had no say about the injustice of a life put on hold for some sad ideas! Go sand boarding at Swakopmund, and allow him to be the tour-guide for the rest of that stark, beautiful country. 6. Take him to Victoria Falls – let him hear the Thunder that Roars and experience the closeness of our Lord in every drop of water falling on him in the rain forest. 7. Go back to Kenya, and the Masaai Mara, so you both can imagine you are Adam and Even again in the original Garden of Eden. 8. Go ride Indian Elephants – you’ve done the African ones, so go seek out the lush forests of India, and peel your eyes for the elusive tiger, and marvel at the colors and scents of India and its wonderful people. 9. Go swim with dolphins in the warm waters of the Indian Ocean in the north of Natal. Pick up the colorful starfish and marvel at their God-made detail, before lowering them in the waters again. BUT, remember, the sea urchins sting!! I hope I’ve jolted the desire to tick these off again – one by one, Suletta. May God grant you a long and healthy life, in order to do these things, but remember, start with the ones that are less strenuous, as your body, unlike your soul, may not last as long as you would wish for. In the mean time, remember to love, laugh and appreciate what is placed on your path, and start by smelling the flowers – not just the West Coast abundance in spring, but every small one you see popping up among the rocks of life, and beware the thorns in that path you walk! It has been a hectic start to winter in Cape Town, with even more rain this morning, and temperatures quite low. I had been in Cape Town doing business for more than a week, and returned home to Langebaan last night, to two very excited dogs who were in desperate need of a good romp on the beach. So, even though this morning broke dark and gloomy, I donned some warm clothes, beanie et al, and made my way to the beach with them. And as always, my little camera was a trusted companion too – and just as well, cause I shot some amazing photos of very nosy seagulls, and the rough, dark waters of the lagoon. Such a beautiful place this West Coast with its charming beaches and friendly people. Even the dogs always meet up with doggie friends on the beach. And then, when I got home, I noticed that some flowers are already out – the flower season from August is sure to be a winner again this year, as the rain is plentiful and on time. Enjoy the pictures with me! !